The Broom Service witches are flying again! 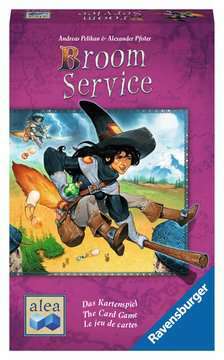 Wild witches soar on their brooms collecting colorful potions in this card version of the award winning board game Broom Service. Choose and play the right cards, at the precise moment, and zoom to victory! 4.75" x 7.00" x 1.75"